"I really don’t care about the critics of my decision to continue the band. The only thing accomplished with their criticism is that it makes me more determined to keep moving forward with QUIET RIOT." 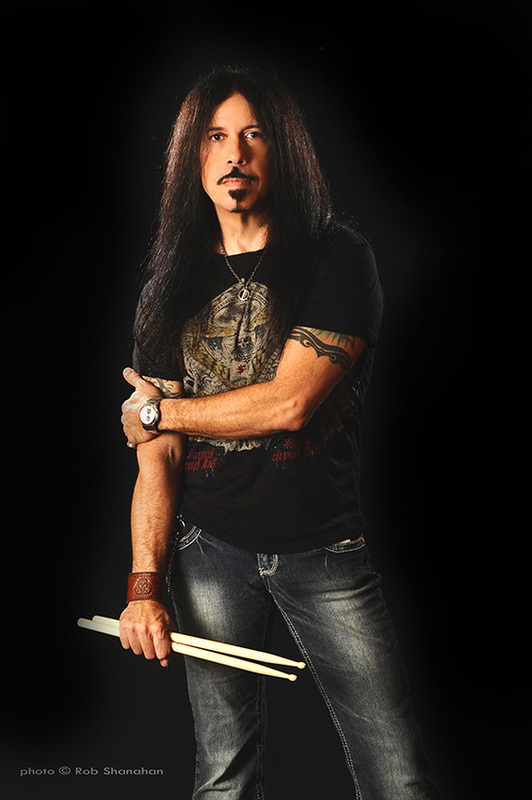 Drummer Frankie Banali is no stranger to adaptation and adversity. From being a member of one of the most influential and trailblazing "hair bands" to come out of the 80's, QUIET RIOT, to dealing with numerous lineup changes, the decline of metal to grunge in the 90's and ultimately the untimely death of the band's vocalist Kevin DuBrow in 2007, the man who has been there through all of it finds the tenacity to soldier onward and upward. 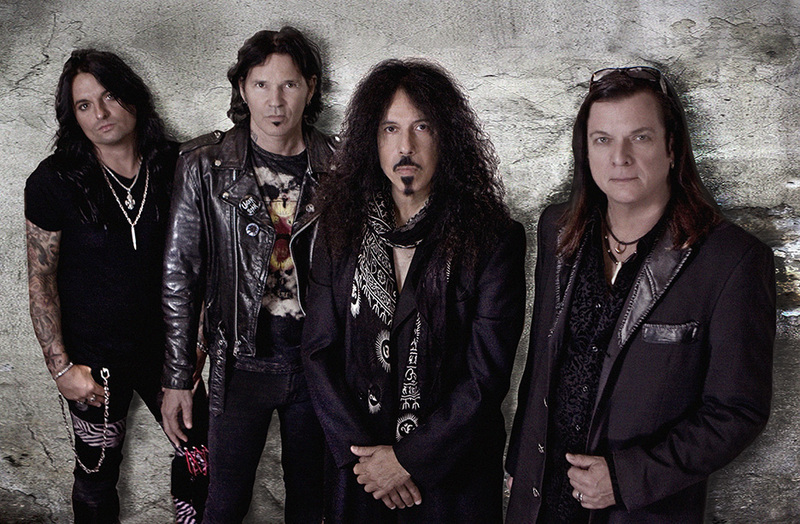 QUIET RIOT is back once again with a revamped lineup, a documentary movie and a new album, 10. KNAC.COM caught up with Frankie to talk about the new release, what keeps him motivated to keep the QUIET RIOT torch burning and of course, memories of Kevin. Check it out! KNAC.COM: There seems to be a lot of misconceptions about the new QUIET RIOT album, chiefly that some of these songs were started several years ago and never released because of Kevin's (DuBrow, vocalist) death, but that's not accurate, is it? BANALI: None of the new studio songs were written before Kevin passed away and they were already written before Jizzy joined the band. The four live songs were of course older material recorded live with Kevin in 2007. KNAC.COM: How hard was it for you to get back into the song writing mode after Kevin's passing? BANALI: The dynamics are completely different now. When Kevin and I wrote together it usually developed from something that we would work on at sound check and often times would progress from there and on to the rehearsal studio and finalized in the recording studio. With Kevin now sadly gone, I write alone or with other likeminded musicians. KNAC.COM: QUIET RIOT would be no more, but you had a change of heart after receiving the blessing of Dubrow's family. Who was the first to broach the topic? BANALI: It really came about after I was approached by director/producer Regina Russell when she asked me about the possibility of making a film about QUIET RIOT. Once I started going through my extensive 30 plus years of archives I came to the realization that I missed QUIET RIOT almost as much as I missed Kevin. KNAC.COM: Did you still have some apprehension even after you got their blessing? BANALI: Of course I did. I made a very bold statement that I wouldn’t and then had a change of heart. I guess I’m the only person on the planet guilty of changing his mind. KNAC.COM: The green light to proceed put aside for a moment, you could have just left the QUIET RIOT legacy as it was and started a new band. What for you was the deciding factor to continue on as QUIET RIOT? BANALI: I spent most of my entire professional career with QUIET RIOT, more than any other member of the band. From the Metal Health record on I am the only person that has played on all the records. I’ve worked hard and I’ve earned the right and put in the decades to do so. Besides, I really don’t care about the critics of my decision to continue the band. The only thing accomplished with their criticism is that it makes me more determined to keep moving forward with QUIET RIOT. KNAC.COM: Now this was pretty much a one man show when it came to the creation of these songs, with all the riffs, melodies and such created by you, though you collaborated with Paul Sabu to some extent, a guy who has some pretty impressive song writing credits under his belt. How did you hook up with Paul and how much did he really contribute to the album? BANALI: Paul Sabu is an amazing musician and songwriter who made huge contributions to the six new studio songs. This is evidenced by the fact that Paul and I share equal co-writing credit on all the songs. I enjoy working with Paul which is something that began when we wrote and recorded together for a project called ACID FOR BLOOD a few years ago. KNAC.COM: You also produced the album which I believe was a first for you. How did it feel to be in the producer's chair? BANALI: Kevin and I co-produced the QUIET RIOT Rehab record and I produced the LED ZEPPELIN Tribute CD Frankie Banali & Friends record and now the new record QUIET RIOT 10. I know what I like and I know how to get it. I also work with Grammy Award winning engineer Neil Citron with whom I have a great working and personal relationship. I’m very comfortable in the producers chair and since I financed the entire record, I did as I pleased and with no expectations of ever recouping in the deflated nonexistent record industry. I know you can’t please everyone so it’s best to please yourself. KNAC.COM: Jizzy Pearl is the new vocalist for the band now. Did you actually hold auditions or did you have Jizzy in mind all along? BANALI: After two failed attempts giving unknowns the opportunity to be involved with QUIET RIOT, Jizzy seemed like a good prospect. I sent him the songs to learn along with video links of both the live and studio versions of the songs for the live set. He worked on those on his own and then I had guitarist Alex Grossi work with Jizzy since they both live in Las Vegas. I then scheduled rehearsals and everything went really well, so we went straight out and started performing live dates with Jizzy. KNAC.COM: What was the hardest part for you personally about creating this new album? BANALI: It really wasn’t that difficult because I am very focused and goal oriented. I knew the direction I wanted the songs to go in and Paul and I just kept writing and rewriting until I was happy with the songs and narrowed it down to the six I wanted to complete. I went into the studio and recorded the demo drum tracks and then completed those with Paul Sabu on guitar, bass and vocals. I first sent the demos to Alex Grossi to learn the songs and create the guitar solos. While he was doing that I went into the studio and cut the master drum tracks and then had Alex track all the guitars. Engineer Neil Citron is also a guitarist and he was very helpful when Alex was tracking the master guitars. Next came the recording of the bass tracks. All along I knew there were two songs that were perfect for Rudy Sarzo’s bass style and I invited Rudy to record the bass on “Backside Of Water” and “Bang For Your Buck” and he was perfect for those songs. Rudy needs no introduction when it comes to QUIET RIOT and he and I remain dear friends. Next I asked Tony Franklin to record the bass on “Rock In Peace” and “Back On You” and he was phenomenal as always. Tony played bass on the QUIET RIOT Rehab record, so he too shares QUIET RIOT history. Chuck Wright recorded the bass on the remaining two songs, “Band Down” and “Dog Bone Alley”, which suited his bass style best. I sent Jizzy rough mixes of the six songs to learn while Neil and I worked on the four live tracks that we recorded in 2007 with Kevin DuBrow. I then brought Jizzy in to record the lead vocals and it was a perfect fit. Neil and I mixed and remixed and mastered and re-mastered until we were happy with the final results. KNAC.COM: Did you ever feel like Kevin's presence was there with you? BANALI: Constantly. There is never a moment when I’m not thinking about Kevin both musically and personally. KNAC.COM: I think it was a nice touch to add a few of the last live recordings done with Kevin to the album as a memorial. I'm sure those records hold a special place in your memories. BANALI: There are two very strong connections for me and Kevin on this record. I included the four live songs with Kevin on vocals because I couldn’t let go, not having him on one more QUIET RIOT record even though he’s gone. I also picked tracks that he loved to perform live. He always enjoyed singing “Put Up Or Shut Up”, which was a sentiment close to his way of thinking. He also loved singing “Free” and “South Of Heaven” from the Rehab record. Kevin was always a fan of classic British 60’s and 70’s rock and roll which is evident from the last track on the record, the “Rock And Roll Medley” and if Kevin were alive I know he would have picked these songs over the obvious QUIET RIOT hits. Whatever those live tracks lack in the manner they were originally recorded live, they more that make up in energy and spirit. On a more personal level, the first track on the record “Rock In Peace” is my farewell to Kevin. The song is written as if Kevin were singing it after his passing and very tongue in cheek as was his sense of humor. Because Kevin died so suddenly and unexpectedly, these were in my mind some of the things left unsaid. I’d like to think that Kevin finds the lyric content funny. Kevin had a wonderful sense of humor. I miss that and him. KNAC.COM: Okay, so the album is titled 10, but it's actually the band's 12th album. So why did you decide to call it 10? 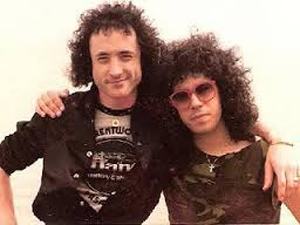 BANALI: Kevin and I always looked at the first version of QUIET RIOT and the Metal Health version of QUIET RIOT as two distinct different bands that were connected by the same name and Kevin as the common denominator. The two versions of the band were very different in both musical style and membership. Now I know the pundits will say that I am saying this now that Kevin is gone, but to them I say that while Kevin was alive, the third record after Metal Health and Condition Critical was called QR III not QR five. 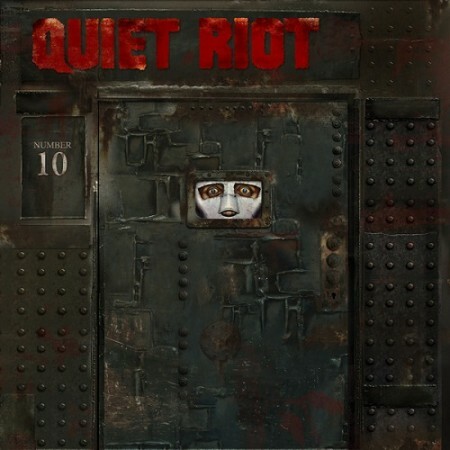 So to that end, QUIET RIOT 10 is the 10th record in line from the release of Metal Health. But for those who might argue that point because they have little else going on in their lives, then accept the title based on there being 10 songs on this record. KNAC.COM: What is your favorite track and why? BANALI: “Rock In Peace” is very dear and personal to me. So much so that we included it on the end credits of the QUIET RIOT Movie. I am especially affected by the line “Well Now You’re Here There’s No Way Back” from the track "Bang Your Head" which I incorporated in “Rock In Peace” because it is especially true and poignant now that Kevin is truly gone with no way back. I wish I could change that, have Kevin back, but it is as it is. KNAC.COM: QUIET RIOT is back out on the road on the bang your head tour with BULLETBOYS, FASTER PUSSYCAT and GILBY CLARKE. Are you happy to be back playing live again? BANALI: We’ve been playing live since 2010 and the first show we played with Jizzy was New Year’s eve 2013/2014. Playing live is the natural state for QUIET RIOT. I’ve been playing some of these songs live since I first started playing in the band with Kevin in 1980. KNAC.COM: Do you find that you're getting a lot of positive support from the fans? BANALI: Yes, it’s been going great! It’s really quite amazing that 31 years after the release of Metal Health we are still out there touring. We owe it all to a faithful fan base that is pretty evenly made up of longtime fans and newer fans, some of which were not even born when Metal Health came out. The older fans are from the MTV generation while the newer fans are from the VH1 generation. 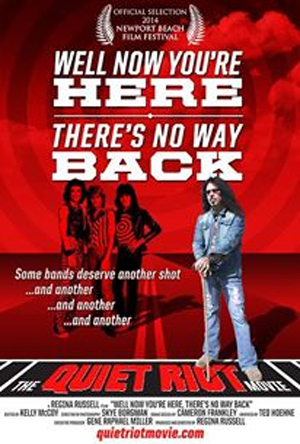 KNAC.COM: A QUIET RIOT documentary movie, Well Now You're Here, There's No Way Back also came out this year and has received rave reviews. Were you surprised about the movie's reception? BANALI: Thanks, It actually hasn’t come out in wide release yet. It is on the festival circuit now and we are working towards wide release right now. It did win an award and received great reviews at the festivals which we are very happy about. I can’t say we were surprised at the reception but we are very pleased. It was a few years in the making and it was a great feeling to sit in a theater with a crowd and experience their reactions. We are very much looking forward to getting it out into the public finally. KNAC.COM: Did you feel like doing this movie was therapeutic for you in some way? BANALI: I don’t know if it was therapeutic or not. I have a vast collection of all things QUIET RIOT but I never really spend time going through it until I had to when we started working on the movie. There were some sad moments for me looking at so much footage that I had collected, so many pictures and magazines and recordings, but there were many, many more funny things that made me laugh. Comedy was a very important factor for both Kevin and me. KNAC.COM: So what's next for you and the band once this current tour run is finished? BANALI: I find that for most bands it’s a two thirds of the year touring cycle from about March through October with the four months from November through February being the slower touring months. There are always exceptions to this, but I expect things will wind down through the holidays and into the new year and then the touring cycle starts all over again early 2014. KNAC.COM: Once all is said and done, what do you hope the QUIET RIOT legacy will be remembered as? BANALI: I would like to think that QUIET RIOT would best be remembered as the band that ushered in the 1980’s era of a unique genre of music. A band that made it possible for other musicians and bands to excel by their own efforts after we broke down the industry barriers with the success of the Metal Health record. You can pick up a copy of QUIET RIOT 10 right HERE.